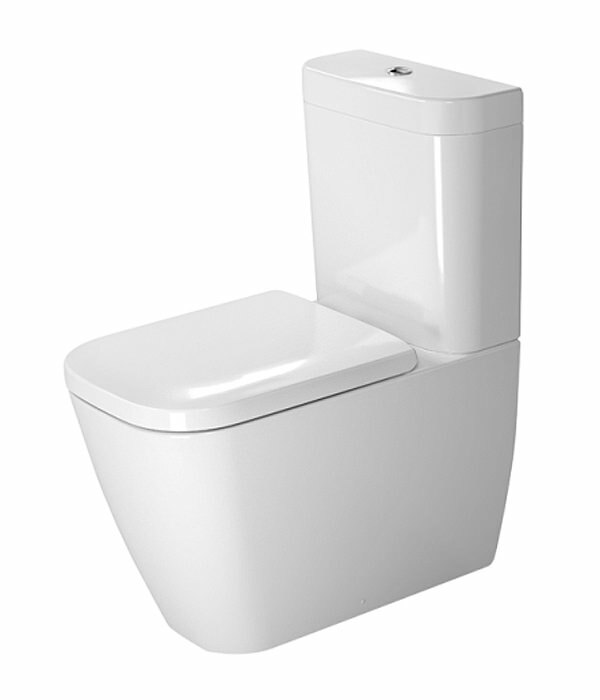 This closed-coupled toilet is designed by Duravit under its Happy D2 series. Including cistern, this designer toilet acquires less space in your bathroom. 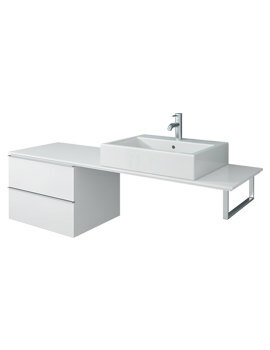 White gloss finish further enhances its beauty. 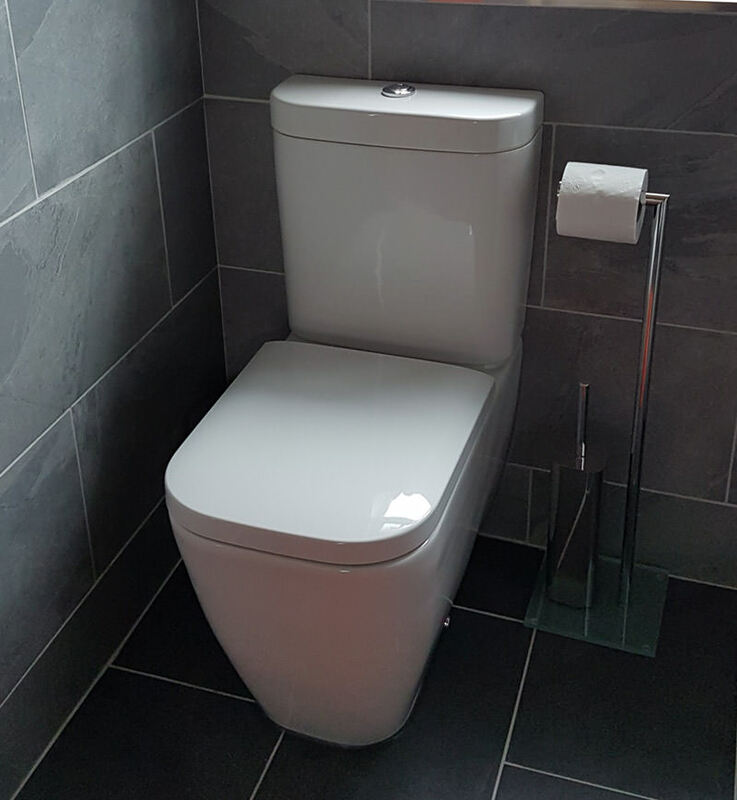 This Duravit toilet comes to you with many optional features and functions which is very essential for modern bathrooms and user convenience. 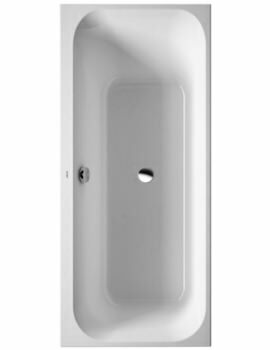 Few of the features like chrome finish of the cistern push button, and water saving ability of the cistern, are the highlights of the series, apart from the classy design and exquisite ambiance enhancing appearance. 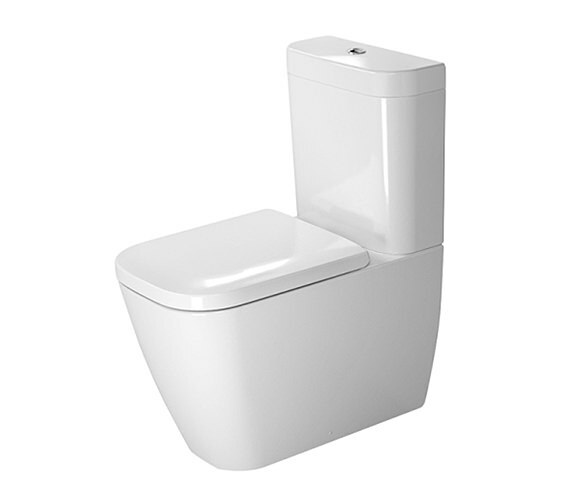 Duravit introduces this Standard and Soft Close Seat and cover to go along with Happy D2 series of toilets. Please note the image shown is for illustration purpose only. 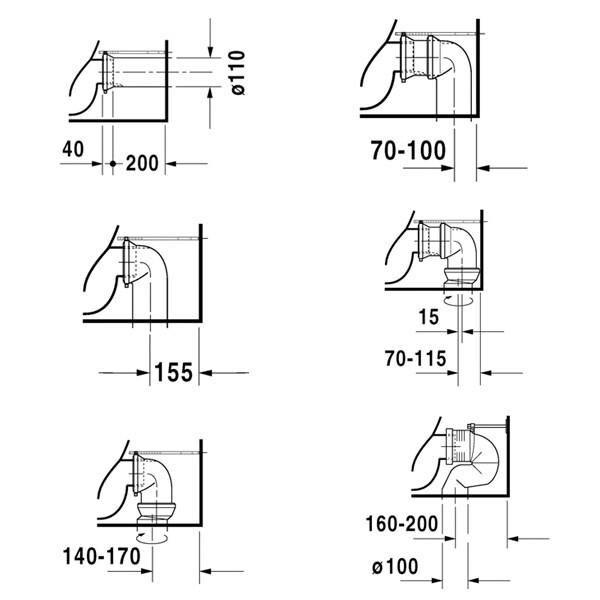 Vario connector set is for horizontal or vertical outlet with adjustabe lenght from 70mm to 170mm and Vario connecting bend is for vertical outlet With adjustable length from 160mm to 200mm. Please Note : Image shown is for illustration purpose only. 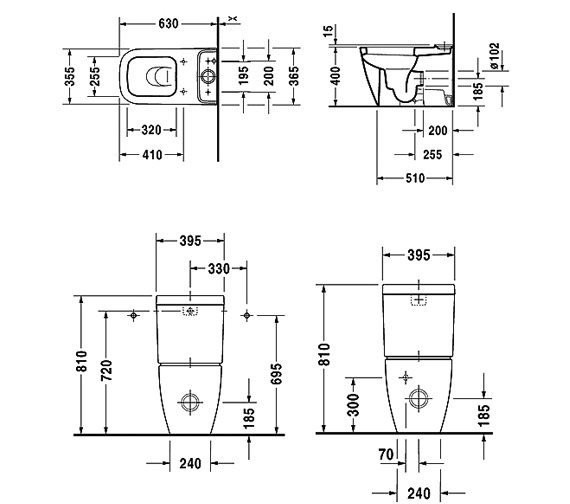 Conversion set for back supply of toilet, consisting of angle valve, connecting pipe and 1 blind plug with counter nut. Please note: Image is for illustration purpose only. Wonderful quality finish, superb styling Superb service as always from QS Supplies, keeping me informed at all stages of the ordering and delivery process. Hi, just a couple questions regarding this item. What's the height of the toilet bowl from the floor? Also, would the pipework behind the toilet show or would everything be hidden? The height of the bowl from the ground is 400mm and it is back to wall toilet with concealed pipework required.